A good quote has the ability to change our day whether it’s spoken by a prophet or a best friend. Even a few Harry Potter quotes can brighten our day! I must admit, I haven’t read all the books or seen all the Harry Potter movies, but I really enjoyed the first two. Author, J.K. Rowling brought to us a delightful story about magic and friendship when she introduced us to Hogwarts. But she also gave us something else. 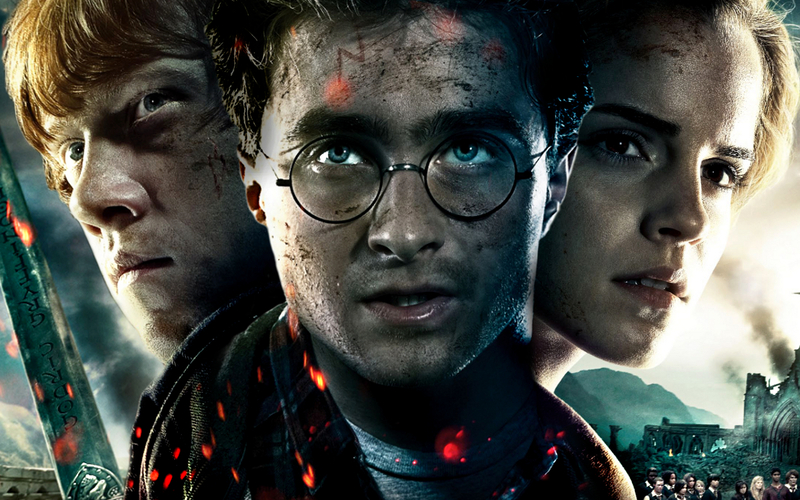 A few Harry Potter quotes that may have changed our lives, you might say. Harry Potter is more than just a children’s book. It is a look into magic, friendship, adventure, and love. Within the pages of this series, you will find great words of wisdom. Here are a few Harry Potter quotes to keep you inspired. Dreaming is wonderful, but no one should get so lost in their dreams as to forget about living. Although we look toward the future, we must live in the present and enjoy each and everything that the day has to offer. There are so many ways to numb our heartache and frustration. Some turn to alcohol, some turn to entertainment, and some simply deny what has happened to them. In order to heal properly, we must see the pain for what it is and accept this. Doing otherwise make that powerful negative force stronger. Why not face this pain head on and learn to make peace. Accomplishing some tasks may seem scary, but with enough courage, we can tackle these things and become successful. Even those things that we may think are impossible can be faced easily if we have the nerve. We might even be surprised by what we can accomplish. To be able to stand up to your enemies takes great courage. But do you know what takes even more nerve? That’s right, standing up to your friends is a hard thing to do, even harder than facing the enemy. This is because you care more about friends and sometimes may be scared to lose them due to disagreements. This is a true test of bravery. You could be born in a wealthy household or born into poverty, but the good news is….what you become is what truly matters. No matter who you were born as it’s who you become as an adult that really shows what you are. We underestimate the power of words. They can build us up and they can break us down. They can create and they can destroy. When you decide to take pen in hand, you decide to change the world in some form or fashion. Keep that in mind. Don’t become discouraged when losing something valuable. These things tend to return to you in time, either physically or in some form of great influence. You never know when those great things you once loved will show their faces again. If you wish to transform or heal, you must first understand the details of your motivations to do so. If you want to become a better person, you first have to see who you are now. If you are in the process of healing, you must see your own damage. Be awake and be aware, and this is how you start. Reality lives not only in concrete form but also inside our minds as well. What happens within the mind can truly be just as real as what you can see with your own two eyes. Be open-minded and your mind will expand further. Darkness is a powerful element, and many people feel helpless during these times. If you remember the light which dwells within, you can dispell the darkness. It only takes a little effort and the ability to believe in yourself. Don’t you just hate it when someone is right and you are wrong? I have found it easier to forgive others for being wrong, than forgiving them for showing ME that I am wrong. It’s about arrogance which is something difficult to conquer. These Harry Potter quotes are able to reach down and touch our deepest imaginations. They are magical and inspire us to be better people. They give us strength when we need it most. I hope you enjoyed reading these Harry Potter quotes and applying them to your life as well. I will leave you with one more quote to soothe your soul. I think this one speaks for itself! I absolutely love all-things fantasy. And yes, they often do contain quite profound quotes. I have to admit, most of the Harry Potter films (certainly the first few) did not particularly touch me. The most recent fantasy film to really stir me emotionally is Maleficent – specifically, the early scene showing Maleficent powerfully flying up through the clouds and into the golden sunlight above (and other similar scenes). The film also deals with relatively complex questions and conflicts. Oh yes, I Loved Maleficent. There are so many things to be learned from movies like this.